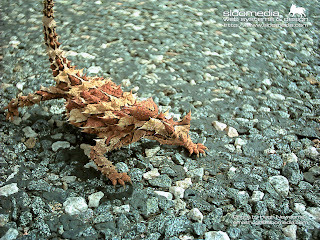 Animal Wildlife | Thorny Devil | The thorny devil,also known as Thorny Dragon,Thorny Lizard,or the Moloch,is a small species of lizard native to Australia with there being no other lizard like the thorny devil anywhere in the world.The thorny devil is a small lizard with the average adult thorny devil only growing to around 20cm in length and weighing about the same as the average mouse.The thorny devil is best known for having an extremely spiky looking appearance and the thorny devil can blend well into the vast Australian desert due to the colour of the thorny devils skin. 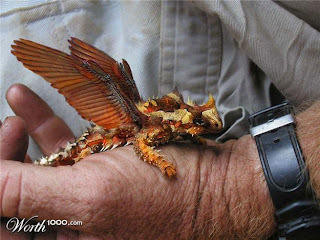 The body of the thorny devil has a very rigid structure which aids the thorny devil in collecting water. 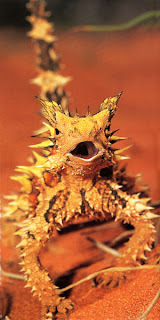 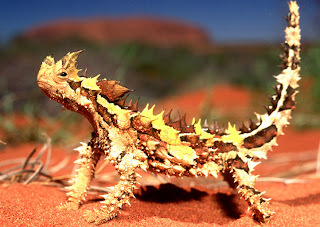 Amazingly, in between the cone shaped spikes of the thorny devil, little channels form along the thorny devils body which enables the thorny devil to collect water from any part of its body which is then transported to the mouth of the thorny devil. As with many species of lizard, the female thorny devil is generally slightly bigger than the male thorny devil and tend to be slightly paler in colour, with the male thorny devil having a slightly redder looking appearance. 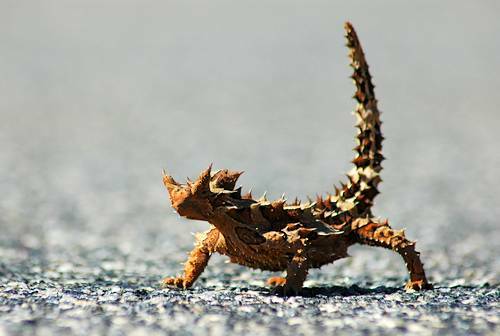 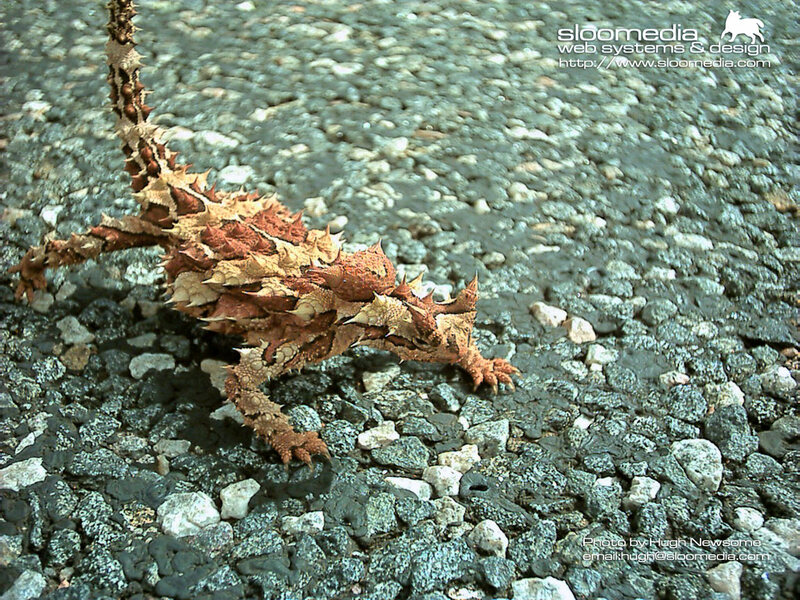 All thorny devil individuals tend to change from a paler to a darker colour when they cool down. 1 Response to "Thorny Devil"